Bhaktapur city is situated about 20 km east of Kathmandu. Lying along the ancient trade route between India and Tibet, Bhaktapur is one of the 3 royal cities in the Kathmandu Valley. It is famous for its elegant art, culture and colorful festivals. This city is filled with monuments, temples with elaborate carvings, shrines, wood carved columns, palaces, pagodas and many other cultural and religious monuments. Bhaktapur literally means “city of Devotees”. The constructions of large amount of temples in Durbar squares in the valley was the result if competition & show off between kings during Malla period. Wood carving, handmade papers, pottery and cloth weaving are also attractions of Bhaktapur. People here are really cultural and traditional. Bhaktapur is filled with Hindu and Buddhist religious sites and arts. There are 19 Buddhist monasteries, shrines and monuments. 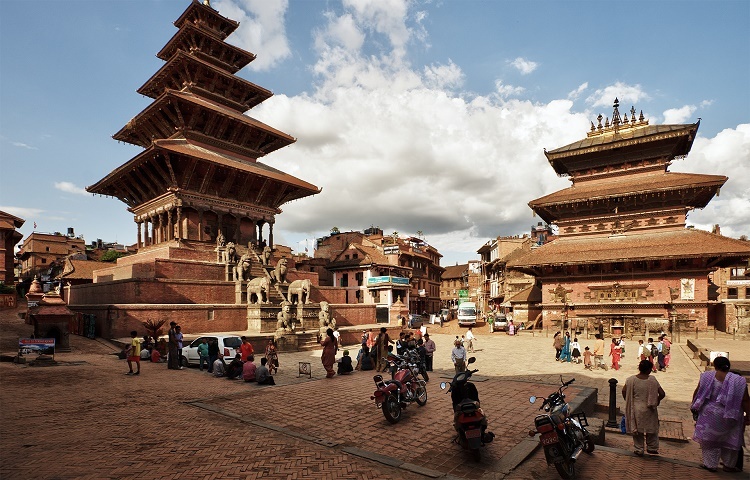 Bhaktapur Durbar Square has innumerable temples and architectural showpieces. The palace of 55 windows built in 17th century is a masterpiece of wood carving. The stone temple of Batsala Devi is full of detailed carvings. There is a bronze bell called Barking Bell. The Golden Gate which is entrance to main courtyard of palace of 55 windows is one the most beautiful and richly carved specimens of its kind in the world. The National Art Gallery contains ancient and medieval paintings depicting Tantrism of various periods and descriptions. Nyatpola, the five storey Pagoda temple, built in 1702 A.D. is the tallest temple in the country. It is famous for its massive structure and subtle workmanship. Bhairavnath Temple – dedicated to lord Bhairav, god of terror, is built close to Nyatpola and famous for its artistic grandeur. Dattatrayas temple was built in 1427 A.D. and has been claimed to be built from trunk of a single tree. There is also Pottery Square that preserves the world’s old pottery profession. Handicrafts in Bhaktapur include paubha scroll paintings, papier-mâché masks, cotton cloth, woodcarvings, metalwork, jewelry and ceramic products, haku-patasi (black sari), black caps and Juju-dhau (yogurt). The oldest temple in the valley, Changu Narayan, built in 464 A.D. lies 6 km north of Bhaktapur. Bhaktapur is more preserved and restored city compared to Patan and Kathmandu. There are narrow paved streets harbor hidden shrines and statues around every corner of Square. 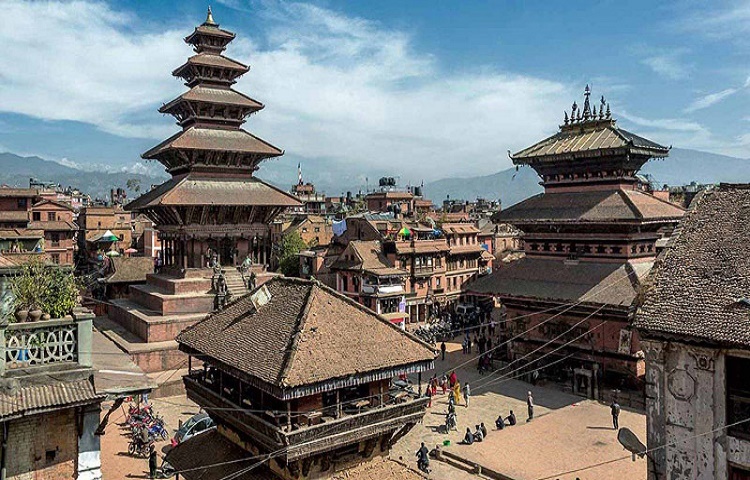 Visit Bhaktapur and find out why it is also called Nepal’s Cultural Gem. There is more to it than what is written. You can travel at any season of the year. Bhakatpur is an irresistible city with an authentic local lifestyle preserved over centuries of isolation from the hustle and bustle of Kathmandu. While in the city square, you get to admire the Nyata-Pola Temple, the Golden Gate, water spouts and the 55 Window Palace which merge together to provide an ambience of a magical outdoor theater to its visitors.Changunarayan one of the beautiful temple built by Malla king Pratap Malla is also a historic temple. Bhaktapur Durbar Square is a ancient historic place built by Lichhavi and Mallas in their period. Many of the beautiful crafted arts and temples were built at that period. You’ll see Newari peoples mostly in Bhaktapur. You’ll see couples wandering around Bhaktapur too as the place is big and is very beautiful to wanderlust. After completion of sightseeing you’ll return to hotel. Overnight at hotel.